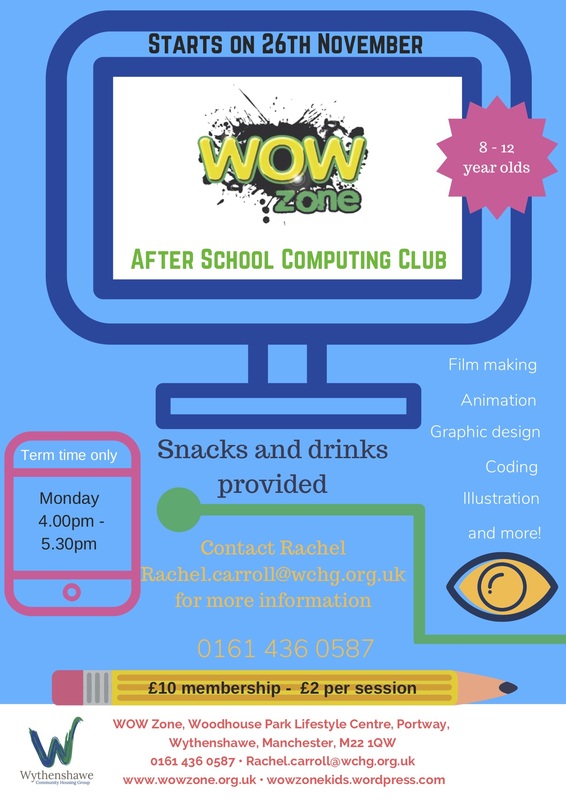 WOW Zone’s Creative Computing Club is held every Monday from 4pm – 5:30pm during term time, starting from 26 November. The club is aimed at 8-12 year olds and caters to all computing abilities. We use computing to explore in a creative manner, drawing upon children’s interests to encourage our members to develop projects that they are passionate about. 2018 membership is now open and we welcome new members. Membership is £10.00 and each session is £2.00. There is financial support available for children from families on low incomes. New members receive a certificate of membership, a free gift and a snack at each session.